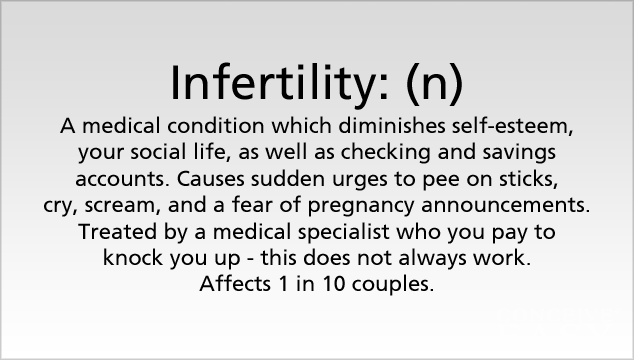 But these symptoms are not necessarily signs of infertility. More significant ones are: the imbalance of luteinizing hormone, the progesterone imbalance, and the follicle stimulating hormone. But now another question arises, what are these hormones and how are they responsible of a woman’s fertility? Luteinizing hormone has an important role in ovulation. The anterior pituitary gland is responsible for its secretion, and once produced this hormone, stimulated by the hypothalamus, which is a gland located in the brain, helps the reproduction process. As a result, a deficiency of LH could raise serious problems for a woman who wants to become pregnant. The progesterone is produced by the ovaries, and is responsible for our regulated menstrual cycle, embryogenesis and pregnancy. As a result, a lack of progesterone or a low secretion of it in the ovaries results in less thickened uterus wall during conception, which in the end determines a miscarriage. Its deficiency not only can cause infertility, but can also cause Polycystic Ovarian Syndrome, obesity and hirsutism. This hormone is responsible for both pubertal maturation process and the reproductive processes of our bodies. Again, the deficiency of the follicle stimulating hormone affects the ovarian follicles in the ovary, and as a result the fertility of a woman. Here are some questions you should ask yourself, if you have been trying to conceive for some time and failed. Have I been trying to conceive for at least 6 months or 1 year? Do I have regular or irregular periods? Have I miscarried before or do I have sisters that have miscarried? Discuss your answers to these questions with your doctor, and you will certainly find out if you really have infertility related problems.